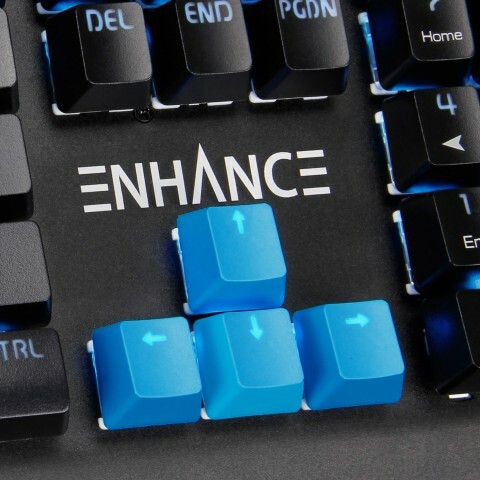 Upgrade your mechanical keyboard with double-shot injected PBT keyboard keycaps. 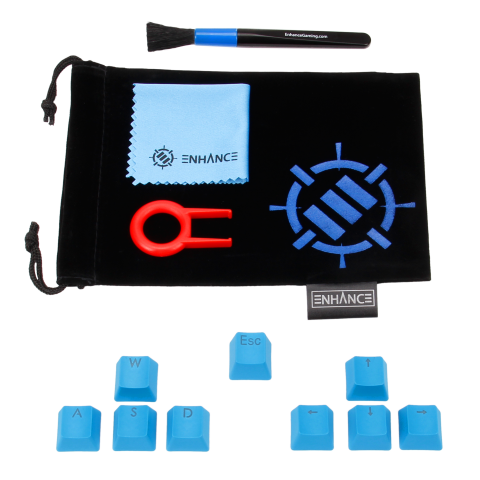 Designed for extreme durability and performance, ENHANCE's keyboard mod kit comes with a 9 key set of FPS optimized keycaps and a handy maintenance kit (microfiber cloth, dust brush, keycap puller, and a pouch to hold them in). 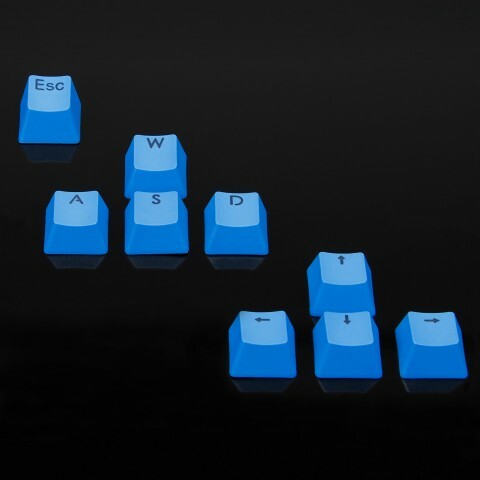 The set includes the WASD, Arrow keys, and the ESC key. 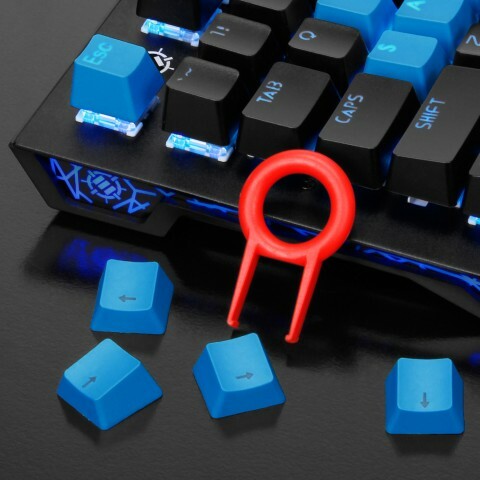 The keycaps are cherry mx switch compatible, which includes the regular cherry switches as well as the dusty and water/spill resistant version of the switches such as in the Corsair K68. 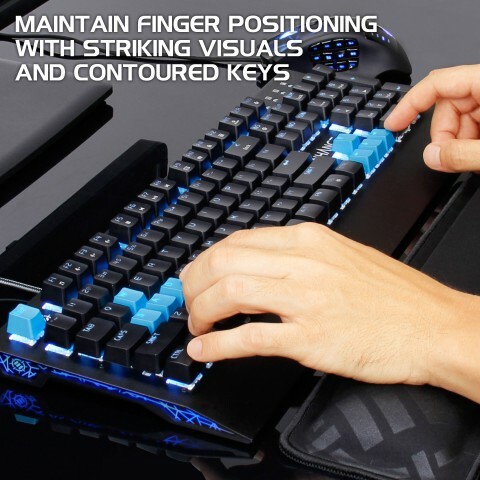 The contoured and textured finish of the keycaps make it easy to find your control keys in the dark and ensure that you never lose finger placement during intense gaming sessions. 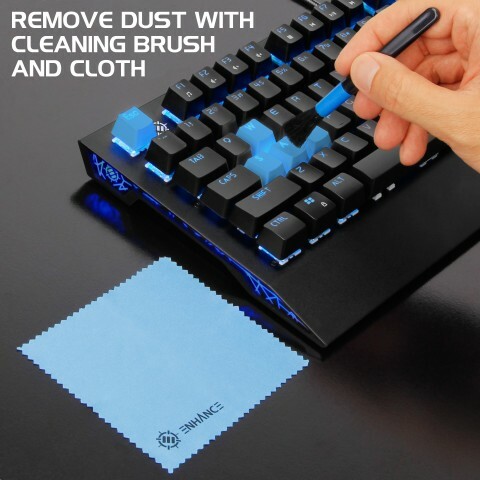 Double shot keycaps will never wear out, so you can experience quality backlighting and no worn legend letters even after years of use. 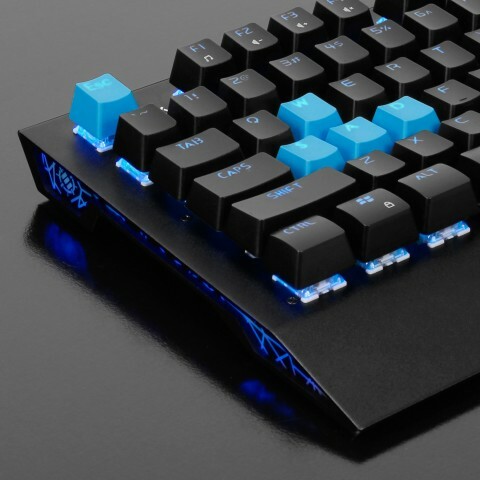 When compared to ABS keycaps, our PBT mold keycaps are incredibly durable and allow for excellent lighting through the legends. 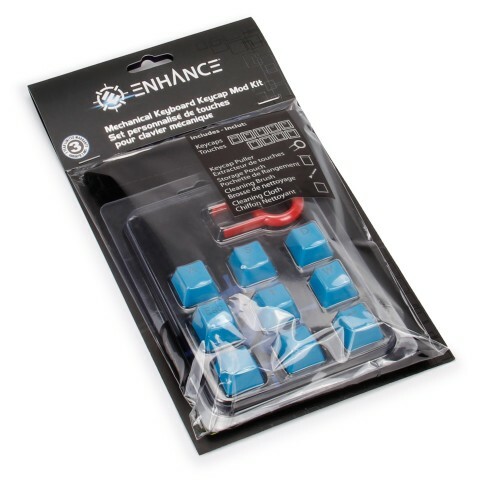 Personalize your gaming keyboard with brilliant blue keys with transparent letters while simultaneously improving the feel and performance of your keyboard.